The Seasons Villa is an exclusive villa, upon a cliff, overlooking the Ionian Sea. Located on the island of Kefalonia in the village of Svoronata. The property's privileged position offers stunning Ionian Sea views and the convenience of being steps away from Ai Heli beach. The villa has been carefully designed to be as stylish and comfortable as a hotel suite, with the privacy and flexibility of a private home. The service, equivalent to a luxury hotel, includes on-call maid service and in-house spa services by appointment. The swimming pool is located cliffside with breathtaking view of the sea, Ai Heli beach and the island of Zakynthos. There are number of local restaurants & gift shops within walking distance. Each villa can accommodate four adults comfortably. It features a large living room facing a terrace with endless sea views. Next to the living room, there is a dining area which leads to a modern open-plan kitchen. 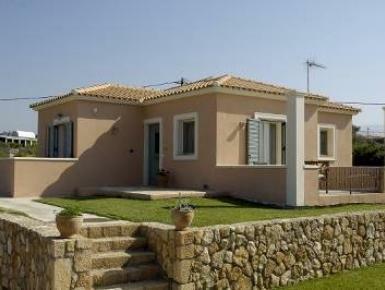 There are two bedrooms with en-suite bathrooms and private terraces overlooking the Ionian Sea.